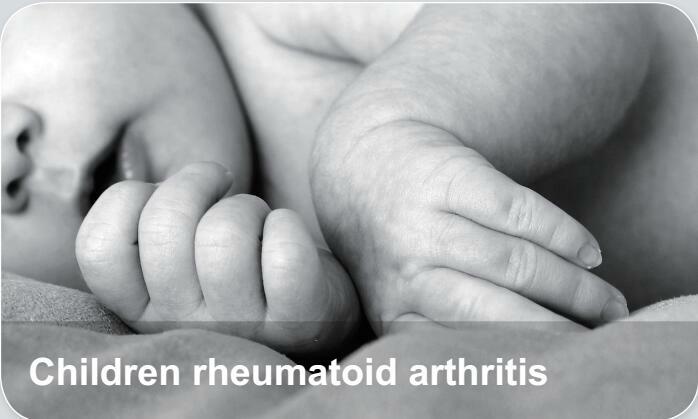 Children rheumatoid arthritis(CRA),also known as Juvenile idiopathic arthritis (JIA), and juvenile rheumatoid arthritis (JRA), is the most common form of arthritis in children and adolescents. CRA is an autoimmune, non-infective, inflammatory joint disease of more than 6 weeks duration in children less than 16 years of age. The disease commonly occurs in children from the ages of 7 to 12, but it may occur in adolescents as old as 15 years of age, as well as in infants.